UNIQUE DJ, EXCELLENT PRODUCER. THE MIGHTY MARCELLUS PITTMAN, MAY GOD BE WITH YOU!!! 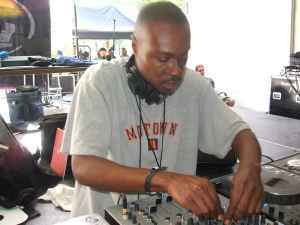 Malik is another in the series of ridiculously dope Detroit deejays who just take it to another level. I've seen him kill it with italo disco, Basic Channel, vocal garage, and of course the most f*cked up Detroit house all mixed together flawlessly. Now he's taking on production as well, and all of his solo joints thus far have been deep and nasty. Of course his work with the 3 Chairs is essential as well.